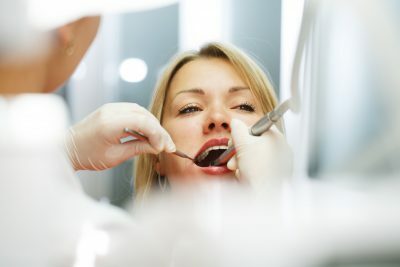 As some of the top-rated cosmetic dentists in South Jersey, Dental Associates at Pitman has a reputation for whitening or straightening teeth and crafting high quality crowns for beautiful smiles that last. We use high quality materials and dental laboratories to provide you with a result the looks and feels great. Because of our commitment to high quality aesthetic restorations, our patients have consistently voted Dental Associates at Pitman as the top dental office in Gloucester County! Are you looking to whiten your teeth for an upcoming special occasion? We offer a wide array of cosmetic bleaching products to fit every need and budget. We offer both 1 hour and 30 minute in-office Zoom whitening procedures, and a number of options for at-home bleaching treatments. Do you need to replace lost or broken teeth? Our experienced doctors craft natural-looking crowns and porcelain veneers that are both cosmetically appealing and extremely durable. In many cases our patients can avoid uncomfortable dentures by consulting with our doctors about implant retained crowns and bridges.